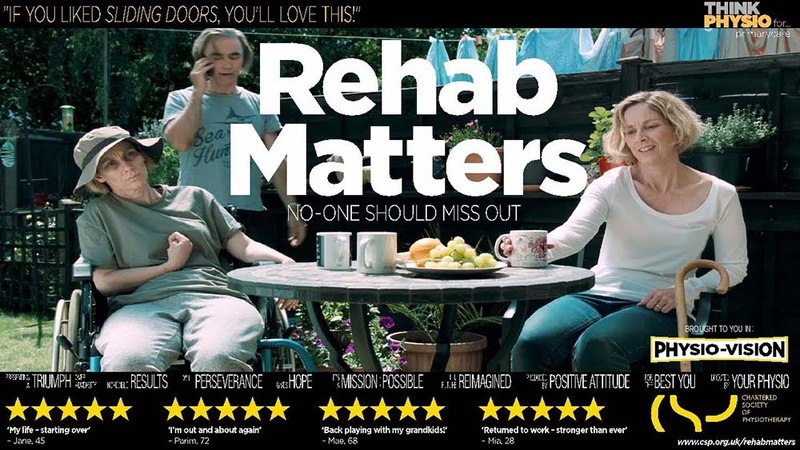 The CSP is currently promoting a campaign ‘Rehab Matters’ which is aimed at improving access to rehabilitation services across the UK. This is an idea that is shared by Marylebone Physiotherapy & Sports Medicine and we thought we would share the CSP’s provoking film about two fictional characters who have very different experiences after leaving hospital as one receives physiotherapy and the other does not. Enjoy. Going somewhere nice? Lucky you! Or maybe it’s yet another business trip which involves a 7-plus hour flight and if you’re flying economy then you will already be mentally preparing yourself for the pain (during) and stiffness (after) that goes hand-in-hand with long haul flights. Unfortunately, no amount of complimentary liqueur is going to help with that. And why is sitting for such a long period of time so awful, I hear you ask? Early studies have shown that a seated posture not only increases the pressure of the musculature but can also increase intra-discal pressure. The backward rotation of the pelvis, needed for sitting, is the cause for this increase in pressure. Although seated, the muscles are statically having to work to maintain position, therefore they can become fatigued which will lead to acute discomfort. Finally, the flexion created at the knees and hips from reduced leg room will lead to tight hip flexors and hamstrings. So we’ve come up with some simple tips that aim to get you off the ground! Think ahead, what do you need to make you as comfortable as possible? Think about taking on board a lumbar support or an extra cushion to support your lower back. Or a head and neck cushion to prevent your head rolling forward as your start to fall asleep. Or ask the cabin crew for an extra cushion and make them aware of your pain. Baggage! You’ve packed everything apart from the kitchen sink for your 2 day trip and your ‘hand luggage’ is anything but. Don’t lug around more than you can comfortably carry, get a trolley, wear a comfortable backpack, ask someone to help you put your bag in the overhead locker. Lifting weights is for the gym and you’re on holiday now! Move around regularly. If you’re not sleeping then try and keep mobile to prevent tightness and stiffness. Walk up to the other end of the plane, have a little stretch while waiting for loo. In your chair you could pull your toes up towards your shins for a stretch or rise up and down on your toes to keep the blood flowing. Anything that keeps you moving. Following on from tip 2 consider the time you fly and the seat you pick. No one wants to be woken up multiple times so you can get up and have a stretch. So think about booking an aisle seat, or even investigate whether flying at a certain time will ensure your flight is less busy; spare seats and more room. Painkillers and Heat: if you have medication that you know helps ease your pain make sure it’s in your hand luggage and you have been taking it regularly up to that point, not just as and when you pain becomes a problem. You could take some disposable heat strips with you onto the plane which will work over several hours. Relax: try and keep calm. 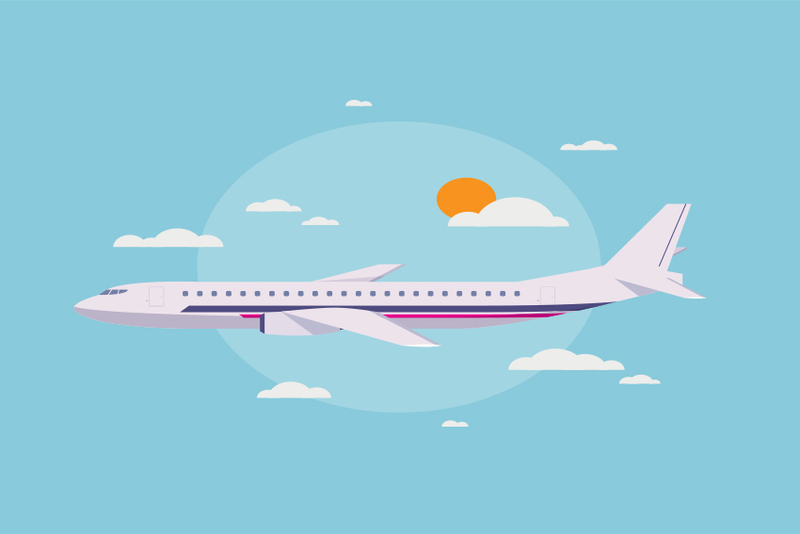 We know that stress and emotional factors will only make pain worse so keep your trip as hassle free as possible (by arriving on time), and use techniques such as mindfulness and positive imagery to keep you ‘flying high’. Muscular effort in sitting has been shown to be greater than that of standing, so when you’ve touched down ensure you are working hard with your physiotherapist to strengthen your back and core muscles and give yourself the best chance of preventing future pain that keeps you from hitting cloud nine. Gkikas, N. ed., 2012. 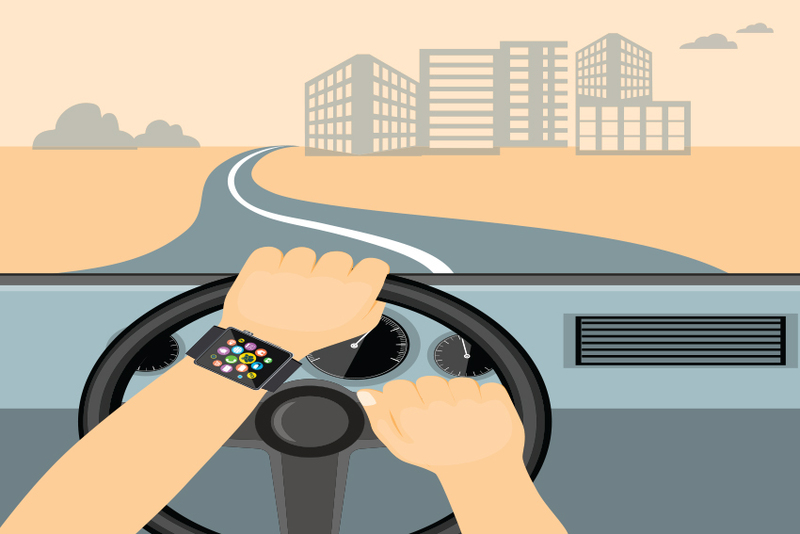 Automotive ergonomics: driver-vehicle interaction. CRC Press. We’ve all been there. Stuck in traffic and you’ve already been in the car for 2 hours. You start to feel that familiar discomfort forming in your lower back heading down your leg as you shift your weight in an attempt to relieve the feeling, or sit up straighter hoping you will last the next hour until you’re home. It will come as no surprise that an epidemiological study looking at lower back pain in truck drivers found that over 50% of them reported lower back pain at one point over the duration of a month. Or, that the prevalence was significantly increased from both a ‘short resting time’ and ‘long driving time in the day’. A larger study of taxi drivers also found that over 50% had reported LBP in the last 12 months and that long driving time plus frequent bending/twisting activities whilst driving, alongside stress also increased prevalence. Unfortunately, like it or not, we can’t escape the world of long drives or travel – unless you fancy being a hermit for the rest of life – so we’ve come up with some simple tips that aim to keep you on the highway to a pain-free journey! Take the time before you set off to get comfortable. Research is limited on exact parameters as every person is different and what is comfortable for you may not be for someone else. Therefore, take the time to adjust what you can until you have the desired setup. Adjust your mirrors: generally, you should only have to move your eyes to look in your mirrors; this reduces the strain on your neck. Sit up straight when doing this, when you slouch you will no longer be able to see - it will act as a reminder to maintain good posture. Adjust your seat: you want to be sitting upright with only a slight recline (roughly 10-20 degrees). You may need to use a small lumbar support or a rolled-up towel to support the natural curve of your lower back. You may find a seat cushion useful to reduce the vibration and act as a shock absorber. Please see the links below for more information regarding driving ergonomics. Stop or move regularly. Now I know that we’re all desperate to get home after a long day but you may need to schedule in regular stops – and who doesn’t love a service station? Especially when there’s an M&S! If you really can’t (and you have the bladder of a horse) then try regularly rolling your shoulders, arching and curling your spine and using traffic stops to stretch your legs – just remember to put it in neutral! Get organised and think about taking either a cool or heat pack with you (whatever helps your pain). Cruise Control? Yes please! Use this where possible, not only does it make your driving experience easier but you can place your feet flat on the floor which is a better position for your spine. But don’t get too comfortable, you will have to brake at some point! Muscular effort in sitting has been shown to be greater than that of standing, so when you are out of the car ensure you are working hard with your physiotherapist to strengthen your back and core muscles and give yourself the best chance of preventing future pain that will ‘drive’ you crazy! Miyamoto, M., Shirai, Y., Nakayama, Y., Gembun, Y. and Kaneda, K., 2000. An epidemiologic study of occupational low back pain in truck drivers. Journal of Nippon Medical School, 67(3), pp.186-190. Chen, J.C., Chang, W.R., Chang, W. and Christiani, D., 2005. Occupational factors associated with low back pain in urban taxi drivers. Occupational Medicine, 55(7), pp.535-540. Kyung, G. and Nussbaum, M.A., 2009. Specifying comfortable driving postures for ergonomic design and evaluation of the driver workspace using digital human models. Ergonomics, 52(8), pp.939-953. There is a body of opinion that recommends not putting your hands in ski pole loops unless you are in fear of losing your poles, for example in deep powder snow, but this has always been a debate. In the event of a fall, putting your hands inside ski pole loops greatly increases the risk of sustaining a Skier’s Thumb sprain. 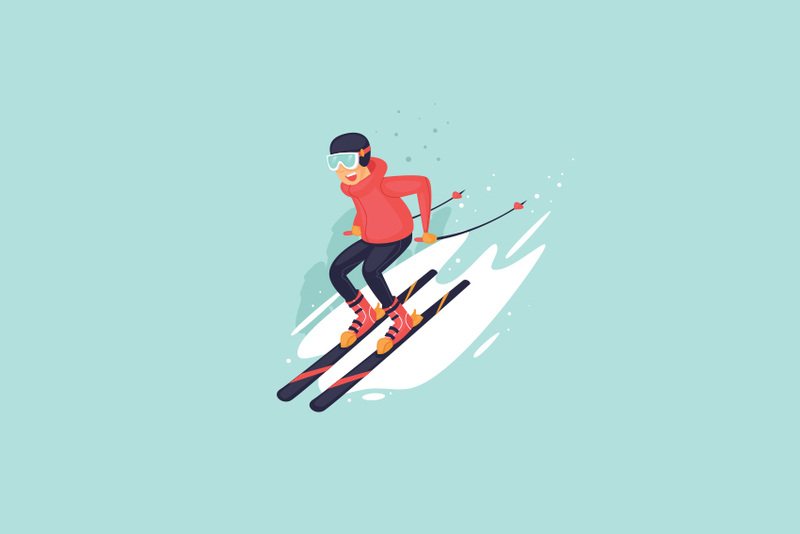 This common skiing injury is caused when the skier falls and lands on their hand or the ski pole, with the thumb in an extended position, spraining the Ulnar Collateral Ligament of the thumb. This is the ligament located in the web space in between the base of the thumb and the index finger. This injury is also commonly seen in rugby players and goalkeepers. Immediately after injuring your UCL it is best to rest it for the first few days and apply ice for 15-20 minutes every 2-3 hours. It is wise to seek medical attention if the swelling and pain has failed to settle within the first week as this may be indicative of a more serious injury to the ligament like a partial or complete rupture, and you should rule out any associated fracture. Symptoms may include persistent pain and swelling and a sense of instability around the thumb during pinch activities. Wearing a thumb stabiliser if you have a previous history of this injury may be a good idea. So, where to start? Let’s start with a common misconception – it’s all about moving the body. For a balanced functional body we need strength, mobility, flexibility and endurance. One cannot exist without the other and when this balance is disrupted we often have dysfunction and suffer pain and injury. So any modality worth its salt will incorporate all these factors. Yoga, Martial Arts, Pilates – and many more encompass these factors. With this laid down it wouldn’t make for a great discipline for Gyrotonic to only focus on movement. For fantastic movement you need to be mobile – that is your moving parts or joints need to have good range. Above and beyond this the structures around these parts need to be flexible to allow the range of movement and the strength to hold them well in place. And without endurance in the body the movement cannot be sustained in quality or quantity. Gyrotonic’s foundation is in stabilization not movement, moreover dynamic stabilization. This is widely referred to within Gyrotonic and Gyrokinesis as Narrowing. Narrowing encompasses focal areas essential for stability but in such a way it becomes organic in nature. What do I mean by organic? Techniques are taught to encourage activation of deep stabilizing muscles, with the least amount of energy to create a balanced stable and open body. This ability creates a feeling of not only strength but a lightness and length. So now you have the magic every body needs for a great foundation – now you can move! And then it is all about the movement and what great movement it is. Organic movement and organic quality of movement. What do I mean by organic movement? Ahhh you have to wait for the next article on Gyrotonic – unless another dimension gets in the way! Proprioception is the sense of knowing where your body part is in space, without having to look. This can be a difficult concept to grasp until you lose it, because so much proprioception occurs subconsciously. It is important in all everyday movements but especially so in complicated sporting movements, where precise coordination is essential. Your proprioception capabilities can be impaired when joints are injured, such as with ligament sprains. When you lose proprioception of your joint after a sprain, you may experience an unstable sensation of the joint. The most common symptom of reduced proprioception is poor balance. The Proprioceptive System is made up of receptor nerves that are positioned in the muscles, joints and ligaments around joints. The receptors can sense tension and stretch and pass this information to the brain where it is processed. The brain then responds by signalling to muscles to contract or relax in order to produce the desired movement. Following injury to joints and ligaments the receptors are also damaged, which means the information that is usually sent to the brain is impaired. This can leave the person prone to re-injury, or decrease their coordination during sport. Proprioceptive and balance exercises teach your body to control the position of a deficient or an injured joint. A common example of a proprioceptive or balance exercise is the use of a wobble board after an ankle sprain. 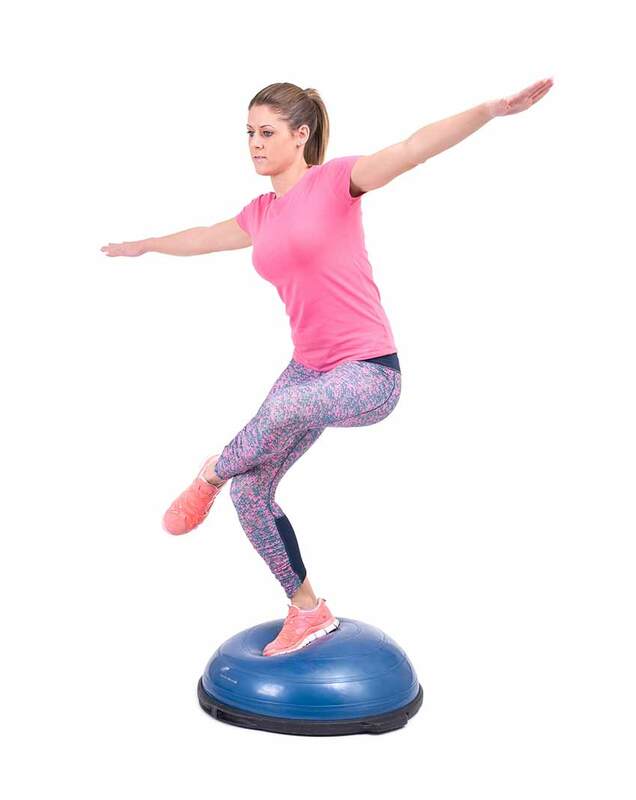 The unpredictable movements of the wobble board re-educates your body to quickly react to the wobbly movements without having to think about these movements. That is, your natural balance and proprioceptive reactions make the transition from a conscious to a subconscious state. A quality subconscious proprioception and balance system is important in everyday life and particularly in sport. Centering is an important concept in pilates. It comprises of finding your neutral spine and activating your deep tummy muscles to keep your spine in a safe stable position to allow you to move your arms and legs more efficiently. Neutral spine is different for everybody, as it depends on your individual spinal curves. Ideally you should have a small curve in the lower back. To find it you tilt your pelvis back and forth until you find the mid-point of the available range. Your deep tummy muscles (transversus abdominis) are the only core muscles to attach directly to the spine via some fascia (tough connective tissue). It is thought that in people with back pain, the activation of this muscle is delayed. To activate this muscle imagine that you are drawing in your lower tummy, as if you are trying to squeeze into a tight pair of jeans. 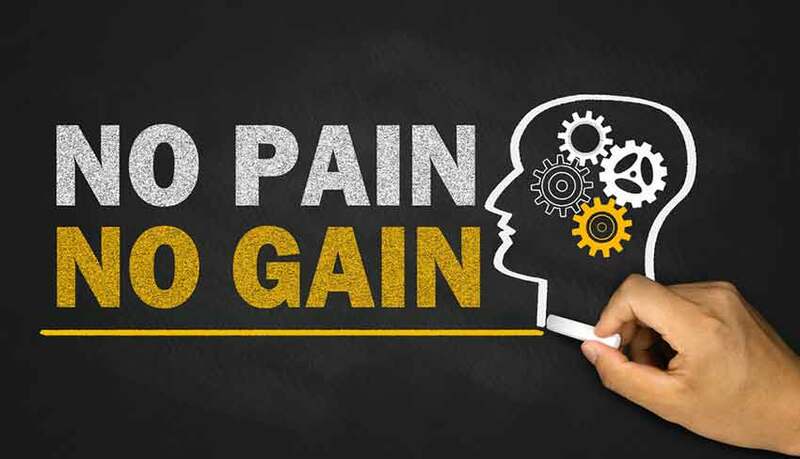 Is the old saying ‘no pain no gain’ true? Is it OK to feel pain after exercise, and how much is too much? DOMS, or Delayed Onset Muscle Soreness can be an uncomfortable reminder that we are not as strong as we thought we were. However, contrary to popular opinion, it can affect anyone regardless of fitness levels. From a couch potato running for the bus, to elite sportsman Andy Murray competing in the grueling heat of the Australian Open, there is no hiding from the beast that is DOMS. 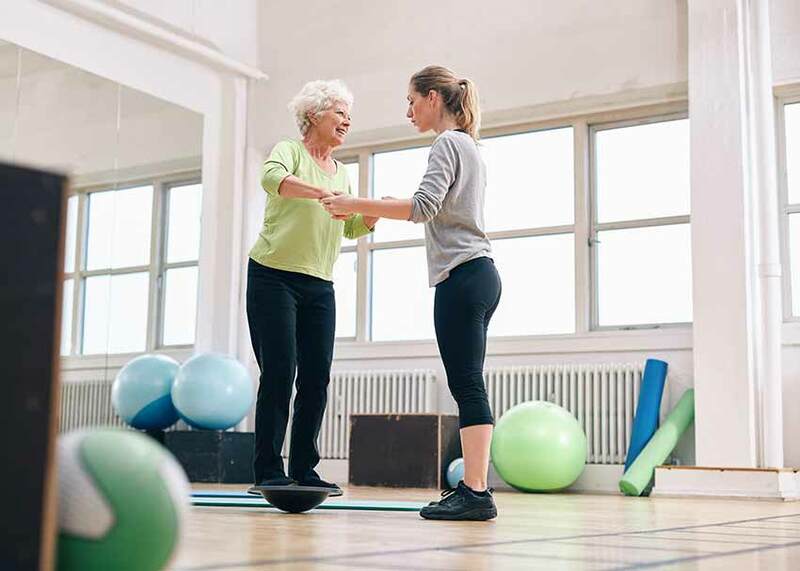 At Marylebone Physiotherapy & Sports Medicine, we understand the impacts that pain and dysfunction can have on one's personal and professional life. We are committed to helping you achieve your health and fitness goals.